Working with entrepreneurs is truly a rewarding part of being a performance coach. Knowing that the byproduct of the impact and changes that are made in your clients’ life, will also positively affect many others in their professional and personal lives – Amazing!. Many times, their team is relieved to have pain points they have been silently enduring, being addressed and changes being made in a real time. Their leaders’ newfound awareness – they find to be refreshing and welcomed! However, as with everything, there is a flip side to this. Your client may go back to their team, renewed, chock full of ideas on how to turn things around and improve business – except the team has not been on the journey with them – so all these new ideas or new implementations just feel like more work to them. Your client comes back to you upset and deflated – Why aren’t they buying in? Here’s how to prepare your clients for the pushback. In this scenario, you will need to coach your client – on how to coach their team – to buy into the new strategies they have learned. This first step of coaching is crucial because it encourages the CEO to get with their team and ask them what presents a challenge to them. There may be things that the CEO is not aware of and this gives them the opportunity to lay it out on the table. 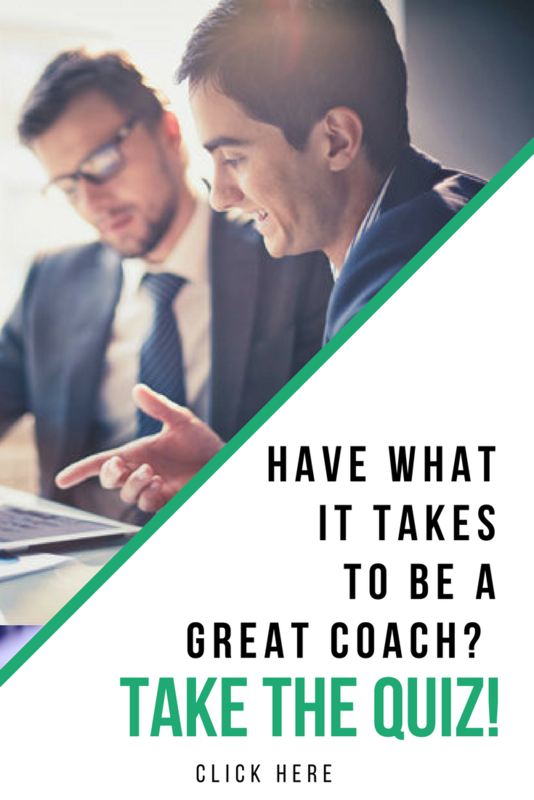 Kerry Guard shared with Forbes Magazine how this type of coaching helped with her transition from a fast-paced environment to slower, less intense working environment and managing her new team. After your team member answers, follow up with, “And what else?” You may need to ask “and what else?” a couple of times before getting to the real heart of the matter. Once you do, the employee will step back, see how this change is affecting them personally and start to figure out how to solve the problem rather than creating roadblocks. We cannot stress enough how important it is, whenever implementing new concepts, to ensure the team feels heard and feel they also had a part in this process. The first step to that is to work closely with their executive team, ensuring that they understand the changes and also help them implement the coaching tools into how they share these concepts with their team. Instead of dictating change (saying “this is how it is”), work internally to bring about change. As a CEO with an idea, first talk to your second in command. They’ll be able to think through how the change could impact the company. Once you and your second in command are aligned, look to the next tier. This person is in touch with what’s going on day to day and will help you craft the change to be beneficial for the whole company — especially for the people doing the work who will be executing on the change. They’ll let you know of potential roadblocks so you can put measures in place to combat them up front. Aligning yourself with the next level of executives allows you to empower them to communicate what’s coming, outline the benefits and forecast any potential challenges to the rest of the company. They’ll know how to craft the message for the people with whom they work directly in a way that doesn’t feel overwhelming. By working through the ranks, it will become a slow, thoughtful process. The pushback is real – but arming your client with these tools will help them as they transition and build companies in alignment with who they are becoming. This entry was posted in Coaching Tips, Performance Coach and tagged Action Tips, better habits, business coaching, business tips, clients, goalsetting, life coaching, performance coach, performance coach university, planning, research, teaching tools, time management. Bookmark the permalink. ← Quiz: What Procrastinator Type Are You? Plus, Specific Tips To Overcome Your Procrastination Habits.